The therapeutic portions of the Hawthorn plant are the berries, leaves, and flowers. However, Hawthorn Berry has been used by herbalists for years for its many health benefits. 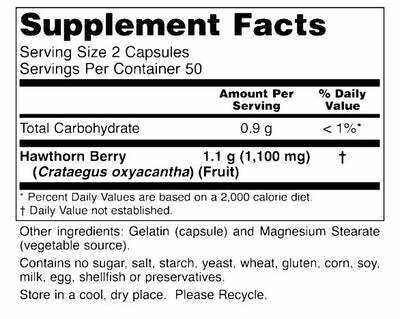 How does Hawthorn Berry support health? Strong anti-oxidant activity promotes cell longevity and healthy aging. Promotes gastrointestinal health and regularity, while also functioning as a diuretic.